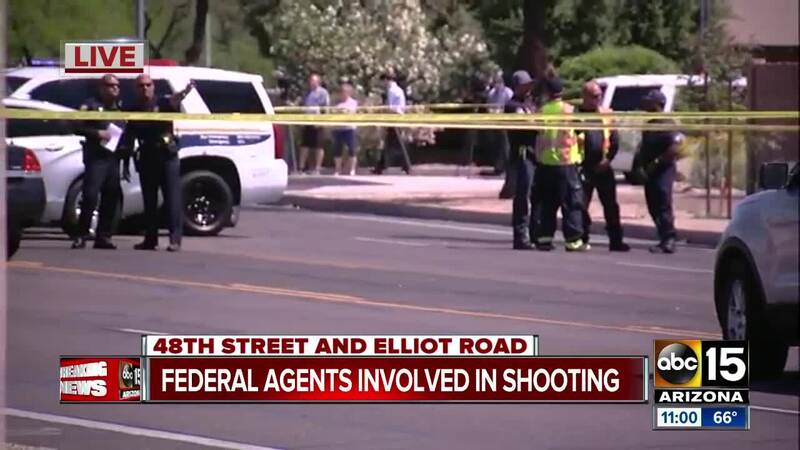 Federal agents were involving in a police situation in Ahwatukee on Thursday morning. Phoenix police are at the scene of a situation involving federal agents in Ahwatukee. The incident happened near 48th Street and Elliot. Aerial video over the scene showed multiple marked police units as well as several emergency vehicles transporting at least two people from the scene. Footage also showed a pickup truck crashed through a wall separating a backyard from the roadway. An SUV could also be see with multiple gunshots through the front windshield. Officials on scene told ABC15 it is a Homeland Security investigation. It is unclear at this time what led to the initial incident.